CHARLOTTE – Gardner-Webb secured seven spots on the 2014 All-Big South Conference Football team announced by the league office Tuesday, paced by four first-team selections. The team was selected by the Big South’s six head coaches and a panel of selected media members who cover the league. Gardner-Webb placed two men on the first-team offense, with receiver Kenny Cook (Cross Hill, S.C. / Clinton HS) and tight end Seth Cranfill (Sherrill’s Ford, N.C. / Bandys HS) getting the nod. Cook wrapped up his career with the Runnin’ Bulldogs with his third All-Big South selection and led the league in receptions per game for the second season in a row. The preseason FCS All-America choice finished with 64 catches for 758 yards and five touchdowns in 2014, becoming just the second receiver in school history to haul in at least 60 passes in consecutive seasons. The 6-foot-4, 218-pound redshirt senior also tied Hall of Famer Rodney Robinson for the top receptions mark for a three-season career in school history, finishing with 188 catches. Cook also established a new school record with 5.7 receptions per game over his 33-game career. A three-time All-Big South selection, Cook finished with 188 catches for 2,432 yards and 21 touchdowns during his time in Boiling Springs. He posted 10 games with at least 100 yards receiving and set a Big South Conference and Gardner-Webb single-game record with 251 yards on 12 catches in the double overtime win at VMI on October 18. Cranfill finished fifth nationally among FCS tight ends and tied his own Big South Conference single-season record with 37 receptions in 2014, taking those for a career-best 401 yards and three touchdowns. The 6-foot-4, 246-pound redshirt senior finished his career with 90 catches for 899 yards and five touchdowns and holds Big South records for tight ends in several categories – including career receptions, single-season receptions, single-game receptions (9) and longest reception (75 yards). He is also the Gardner-Webb career leader among tight ends in receptions, which was accomplished in just 33 career games. Cranfill earned first-team All-Big South honors for the second time in his career and for the first time since 2012. A Gardner-Webb tight end has been on the All-Conference squad for three consecutive seasons. He and running mate Mike Estes (6-4, 236, RSo.) combined to haul in 71 passes in 2014, with Estes returning next season after catching a career-high 34 passes for 408 yards and two scores. On the defensive side, nose guard O.J. Mau (Masefau, American Samoa / Fa’gaitua HS) and outside linebacker Aaron Cook (Edgefield, S.C. / Strom Thurmond HS) earned first-team honors after strong individual campaigns. Mau, a Buck Buchanan Award finalist in his second full season as a starter, finished 2014 with a career-high 60 total tackles and 10.0 tackles for loss. Mau paced the league’s interior defensive linemen in total hits and added 3.0 sacks and six quarterback pressures. The 6-foot-2, 308-pounder also blocked a field goal, forced two fumbles, had a 27-yard fumble return and deflected a pass that led to an interception. In his three seasons in the program, Mau has 134 total stops, 20.5 tackles for loss and 8.5 quarterback sacks, while controlling the middle. He is a two-time, first-team All-Big South Conference selection. Cook emerged as a star at linebacker in 2014, stepping up in the absence of preseason All-America selection Tanner Burch and All-Big South selection Chad Geter – with Burch missing the entire season and Geter missing the final nine games with injuries. The 6-foot-1, 218-pound sophomore ranked second in the Big South with 92 total tackles (52 solo) and tied for the league lead with 13.0 tackles for loss (minus-41 yards). He added a team-high 4.0 sacks (minus-16 yards), forced two fumbles, recovered a fumble and broke up five passes in 12 starts. He registered double figures hits against Wofford (13 tackles), #2/3 Coastal Carolina (14 tackles) and Presbyterian (13 tackles, 3.0 tackles for loss, 2.0 sacks) and was one of the team’s most active on special teams. He had six special teams tackles in the win over Wofford (9/20). Cook, one of only two true sophomores to earn first-team All-Big South honors in 2014, returns next season alongside Burch and Geter to form one of the top linebacker trios in the FCS nationally. Return specialist J.J. Hubbard (Tampa, Fla./Robinson HS) took up two spots on the second-team All-Big South squad, earning a slot as both a kickoff return specialist and punt return specialist. Cornerback Ivan Toomer (Miami, Fla. / Homestead HS) was named to the second-team defense. Hubbard earned All-Big South honors for the second time in three seasons (2012), ranking among the league’s best again in kickoff return average and punt return average. He tied the Big South’s career record for kickoff return touchdowns when he brought a kick back 95 yards for a score vs. Charlotte (10/4) and set the conference’s career mark for career attempts as well by the end of the 2014 campaign. Hubbard finished his career at Gardner-Webb with 12 total touchdowns (five rushing, four receiving, three kickoff returns) and accumulated 3,556 career all-purpose yards – totaling more than 1,000 yards in each of his last three seasons. The 5-foot-7, 168-pound senior finished with 612 yards rushing, 220 yards receiving, 302 yards in punt returns and 2,422 yards in kickoff returns in 42 career games. Toomer continued his role as Gardner-Webb’s top man-to-man defender, breaking up eight passes to lead the team. The 6-foot-1, 203-pound redshirt junior also registered a career-high 54 total tackles (36 solo), which was tied for the Big South lead among cornerbacks this season. He returned his lone interception 25 yards for a touchdown in the season’s third game and broke up three passes to go with seven stops in the Homecoming win over Charlotte (10/4). Toomer has made 124 career tackles (85 solo) and has broken up 19 passes in 31 career games. This season marked his first All-Big South Conference honor. Tyler Hough-Jenkins (Charlotte, N.C. / Olympic HS) earned a spot on the Big South Conference All-Academic Team on the strength of his strong academic performance and the best season of his career on the gridiron. The 6-foot-4, 274-pound graduate student forged a 3.46 cumulative GPA in sports management as an undergraduate and is in his first semester of Gardner-Webb’s MBA program. On the field, Hough-Jenkins led the Big South’s defensive linemen with a career-high 63 total tackles in 2014, adding 7.0 tackles for loss, one sack and two pass break ups. He also recovered a fumble in his first season as a full-time starter. Hough-Jenkins earned first-team Capital One Academic All-District III honors in early November, and is a candidate for Academic All-America and the FCS ADA Academic All-Star Team – with both to be announced later this year. In 40 career games, Hough-Jenkins managed 96 total tackles, 18.0 tackles for loss and 4.5 sacks at defensive end and tackle. His 2014 tackling total was 30 hits more than his previous three seasons combined with the Runnin’ Bulldogs. 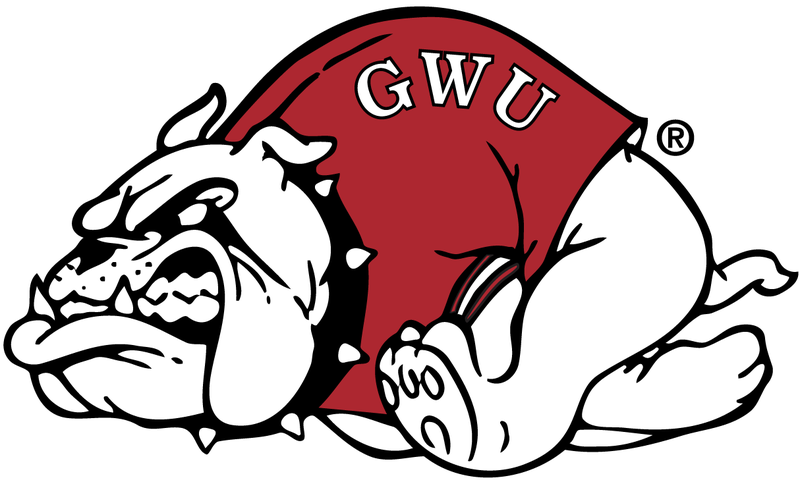 Gardner-Webb opens its 2015 season on September 5 in Mobile, Ala., against Division I FBS (Sun Belt) South Alabama. The full 2015 schedule will be announced at a later date.